Currently LOGIN is not needed. All the pages are open to the public. We are adopting the Profile page of the Class of 1966 sponsored "2016 Cluster Reunion" web site for our profiles. 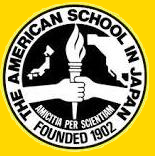 Please click the link below to add your profile and view other ASIJ profiles. When we add sensitive web pages and features in the future, we will begin using LOGIN for security purposes, and we will notify you with your login and password information.